I really wanted to take another crack at the elevator simulator thing. My 2006 attempt just wasn't all it could have been. I was also toying with the idea of trying my hand at some computer control. 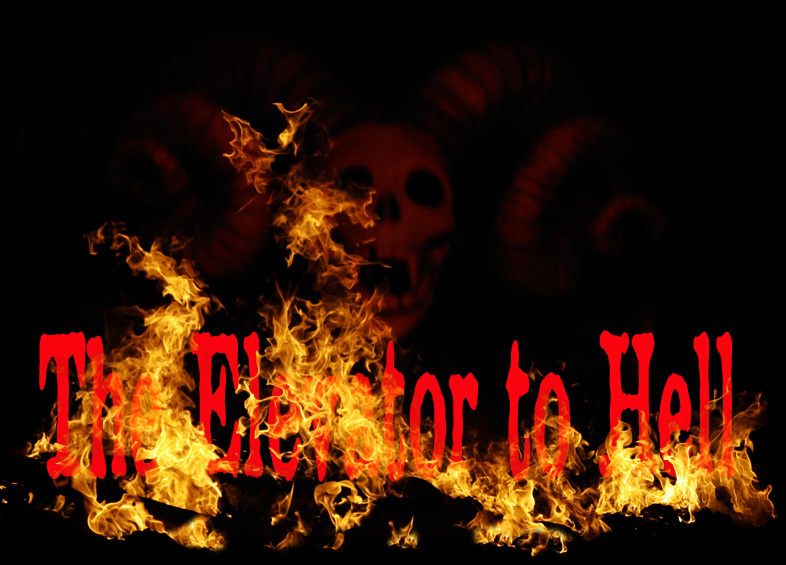 So, it was time for the elevator down to hell. Since I have a two-and-a-half story house, and the (3rd story) loft is right above the garage, I told the kids they were taking an elevator up to the loft. I put a jack-o-lantern in the loft window for show. 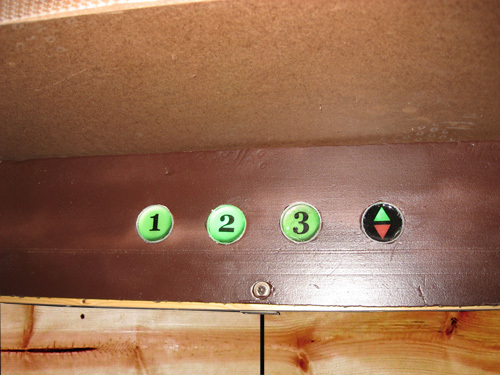 They were escorted into the garage elevator and the elevator would start to "rise" (it started shaking and a floor indicator light would change from floor 1 to floor 2 to floor 3). But something happens. 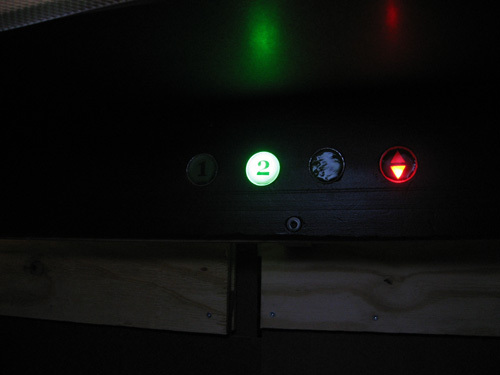 The elevator comes to a sudden stop and the lights flicker and go out. An evil, booming voice from below their feet calls out "No, I want you. Come to me!" The elevator starts going back down. Floor 2, Floor 1 then BOOM! It hits the floor with a bang. You hear cracking and the elevator brakes through the floor as it shakes. You here the sounds of floorboards scraping the sides of the elevator as it is sucked through the floor. An air vent is knocked away and you can see stone wall moving past the vent hole. 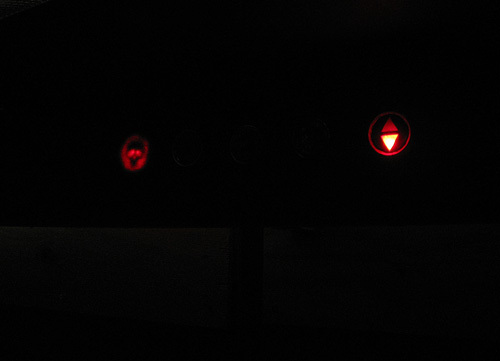 The indicator light changes again, only now it shows a red skull, moving down, down, down. You find yourself in a stone hall. 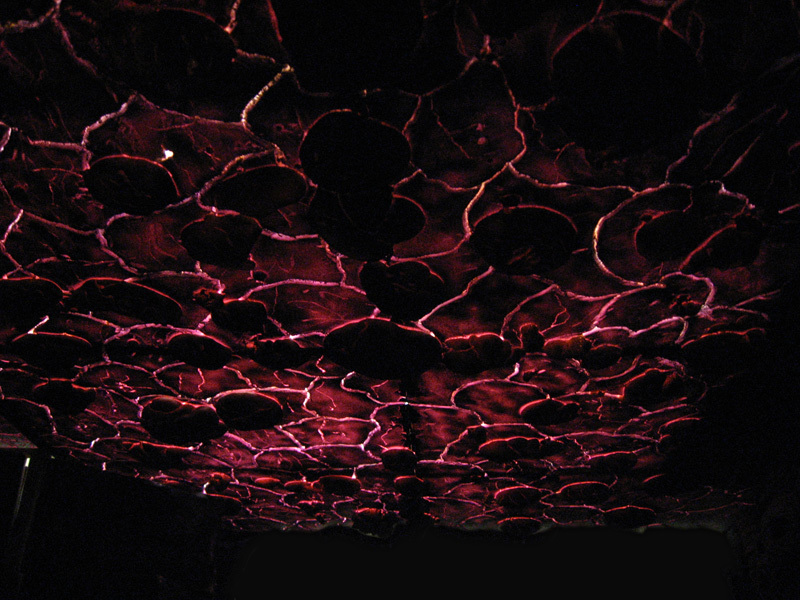 The ceiling is stone too, but it glows red like lava. Suddenly, a skeletal creature crashes through the stome wall and...passes out candy! Oh, did you want some better pictures? 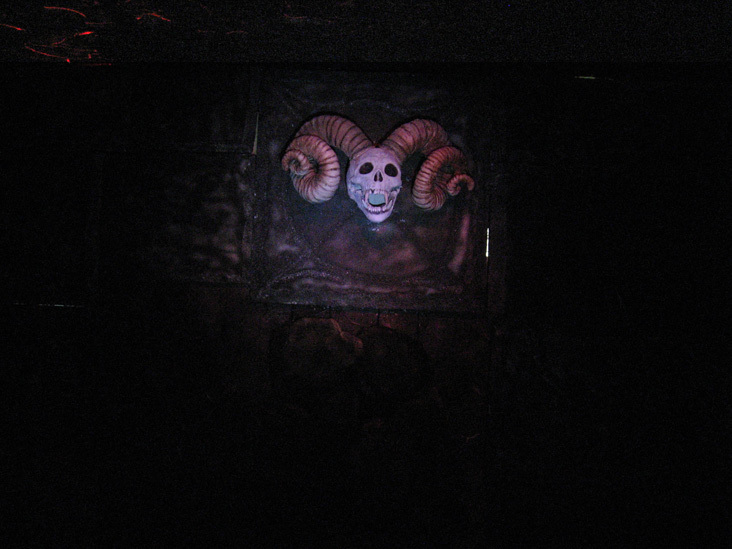 This was not the easiest haunt to photograph and I did a lousy job of it. I didn't even get a video. Trust me, it was cool. 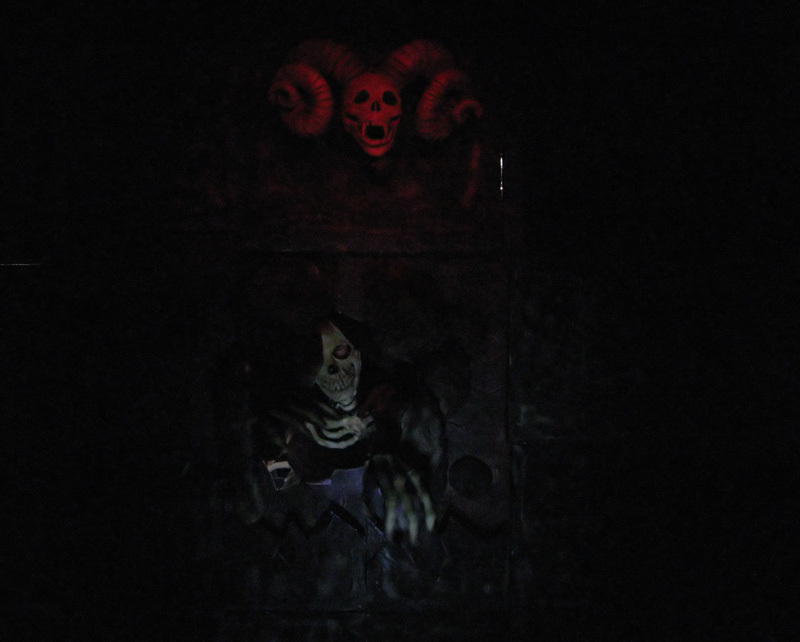 There are three main elements to this haunt: the elevator simulator, the stone room and the wall burster. I will describe each one in order.